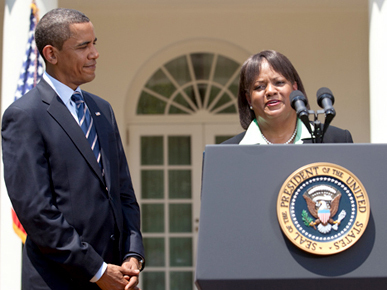 President Barack Obama and Regina Benjamin at the White House in Washington, D.C. The president announced the Alabama physician's nomination for the office of U.S. Surgeon General on July 13, 2009.